This Order schedules Science Day for February 23, 2017. It also announces the establishment of this Abilify MDL website. This Order sets forth the scope of discovery on the issue of general causation, as agreed to by the parties. This Order adopts the Master Long Form Complaint and sets deadlines to file Short Form Complaints in pending Abilify cases. By agreement of the parties, this Order allows new Abilify cases to be filed directly into MDL No. 2734 in the Northern District of Florida. The procedures for direct filing and limitations on its impact are set forth within. November 7th conference call instructions. This Order requires the Clerk of Court to strike all non-compliant notices of appearance. This Order establishes counsel leadership structure and solicits applications from interested attorneys of record. The application form is Attachment A. This Order reflects the discovery required to be produced in the New Jersey litigation and adopts the same for the MDL action. **AMENDED by Amended Order [ECF No. 12] filed on March 16, 2017** This Order establishes the procedures for docketing and filing in the MDL. It also establishes procedures for attorney admissions and notices of appearance. 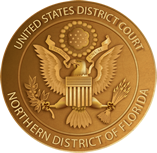 This Order appoints Interim Co-Lead and Liaison Counsel for plaintiffs and establishes preliminary rules and procedures pending entry of a comprehensive case management order.